Kanashop – Furniture WooCommerce Theme is a clean and elegant wordpress theme that is perfect for selling furniture or any shop. 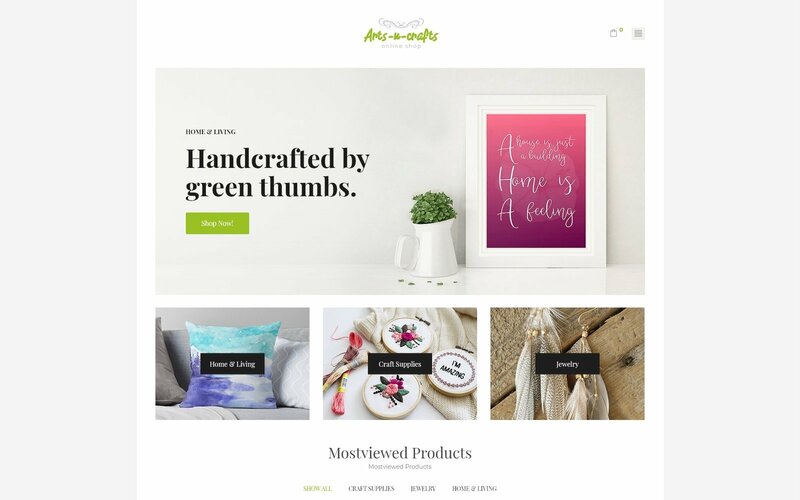 Kanashop has four homepage templates with various shortcodes. You can combine to create your own unique website. Also when you buy Kanashop you get $ 75 (Visual Composer $ 46 and Revoslider $ 29). Kanashop also features One Click Demo Import. Just one click you have a complete site like our demo. If you like Kanashop do not hesitate to buy it. Bitcrypt – Bitcoin & Cryptocurrency WordPress Theme is Cryptocurrency Investments and ICO Agencies WordPress theme, that perfectly fits for any type of digital consulting project. KEY FEATURES: WooCommerce, Revolution Slider, Yellow Pencil: Visual CSS Style Editor, Visual composer Page Builder. With Gardeo – Garden Equipment WooCommerce Theme your customers will appreciate the theme’s design and convenient interface and become your permanent visitors. With Gardeo you will create a powerful e-commerce site. The theme contains a professional Jet plugins toolkit for Elementor page builder. You will be able to add informative content to the pages and customize it according to your needs. With JetMenu plugin you will create a stylish fully responsive mega menu with drop-down sections and fill the appropriate content in some clicks. 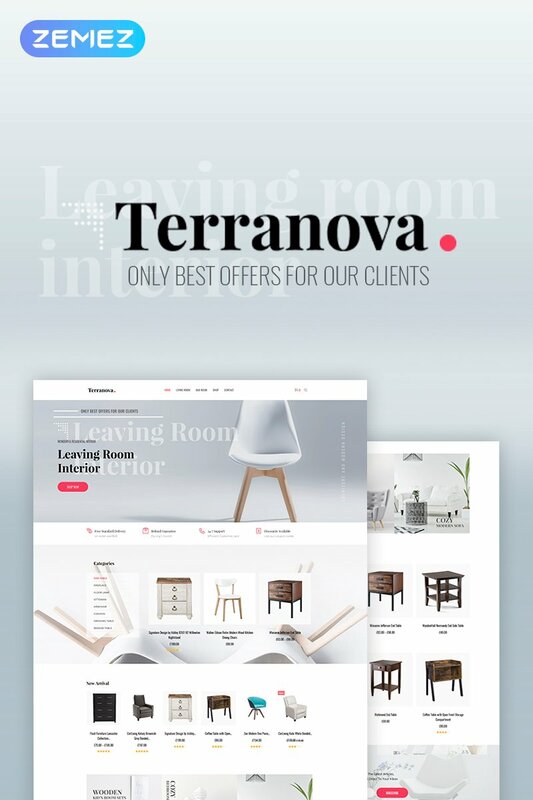 Terranova-Interior WooCommerce Theme is a elegant and sophisticated theme made for Furniture companies and stores! Terranova theme is equipped with powerful functionality and a bulk of user-friendly plugins. You are able to customize your site in time and create new page layouts using Elementor page builder. It’s main feature is drag and drop functionality allowing to build pages in visual mode. Terranova also comes with JetElements plugin – specially crafted addon containing exclusive modules with extended functionality. JetBlog and JetBlocks plugins will allow you to easily create your blogging page and enrich it with various visual effects. Valancio – Home Decor WooCommerce Theme will help you to do it efficiently. Built-in WooCommerce store functionality has everything for a pleasant shopping: wishlist, quick view, shopping cart and products rating system. The design is simple and responsive, so nothing will distract customers from going through your catalogs on any possible device. Multi-currency module will be an additional point for buying from your store for customers from the other countries. This theme is equipped with easy to use content editor – Elementor page builder, which allows setting your content and customize it without any coding kills. Vinedo – Vinery WooCommerce Theme is premium WordPress Theme for your fine wine store website to boost your online sales. 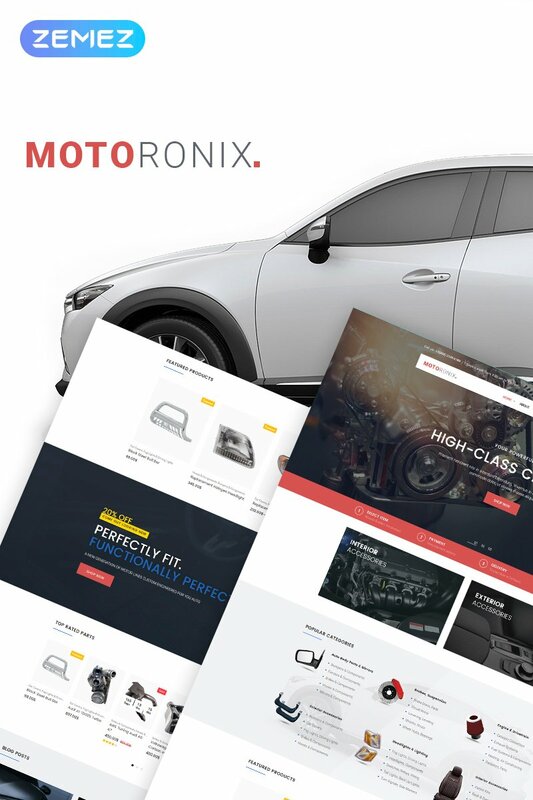 If you want your store to have an atmospheric and stylish website, try this new fully responsive WordPress theme. Designed by our team of professionals, it has well-thought design which is easily customizable. By using different layouts and pages you can simply adjust this theme to your type of wine store. And we made sure it’s easy to use and simple to navigate. It also supports blogging functionality, so you can easily set up a blog about winery.